Welcome Home! From the moment you arrive, the stone accents of the facade and the manicured landscaping will capture your attention and draw you in. The picturesque front porch is perfect for enjoying a morning cup of coffee or taking in a good book. 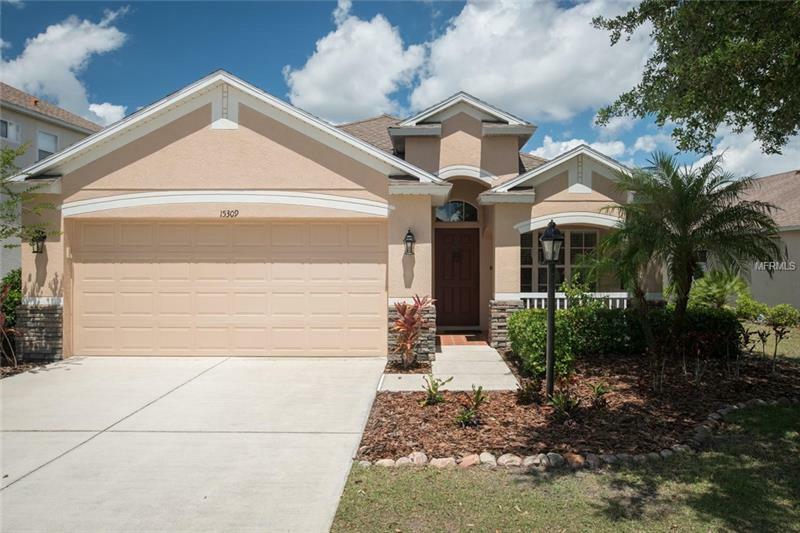 This open concept home has been beautifully maintained with features including a fenced in backyard, partial lake views, extended covered lanai, separate dining room, interior laundry, low HOA fees of $105/year. The kitchen is in the center of it all and is well appointed with plenty of storage boasting upgraded 42â wood cabinetry, glass inserts, crown molding, closet pantry, backsplash, and large breakfast bar overlooking the living room. The expansive master suite is ideally located in the rear of the home for privacy offering a spa like retreat. The en-suite offers dual sinks, private water closet, a soaking tub and a separate stand up shower. Lakewood Ranch is a nationally recognized community offering the cherished âlive, work, and playâ lifestyle with everything you want within your fingertips. From golfing to tennis, polo club, multiple parks, top notch schools, a main street and soon to be second one, and close to the new UTC mall, it is a great place to call home. Run donât walk to an excellent opportunity in a perfect locale. Pet Restrictions: Check with HOA to verify all pet restrictions.